Christmas is a season of giving. In many workplaces, staff members engage in a Secret Santa project. This is an opportunity to give small gifts to a fellow worker to brighten their holiday. 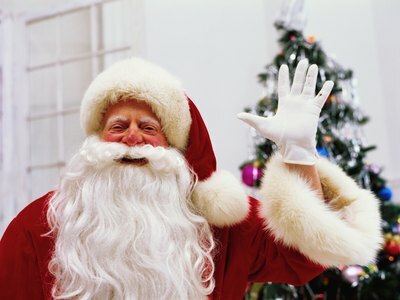 Secret Santas can be organized with strict guidelines such as cost or frequency of gifts. Providing a theme for the gift giving can make the Secret Santa project challenging but fun for all. Always allow your staff the option of participating. With a 12 Days of Christmas theme, each Secret Santa gives gifts during a 12-day period preceding Christmas. On the first day give one item, the second day two items, and so on. The items should be small inexpensive gifts so no one’s budget is exceeded. For example, make a tape with five Holiday tunes for the fifth day; then, as the days progress, give 10 Hershey Kisses or 11 candy canes. Keep it simple. Everyone will look forward to a daily gift for the 12 Days of Christmas. This theme gives a wide-open category. 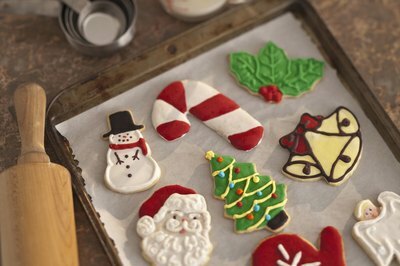 Secret Santas can give homemade treats or buy them. Cookies, candy, or bags of flavored popcorn are good snack items to choose. Beverages such as packets of cocoa mix or a holiday latte from a nearby coffee shop are all possibilities. For a cook, choose some special herbs or spices. 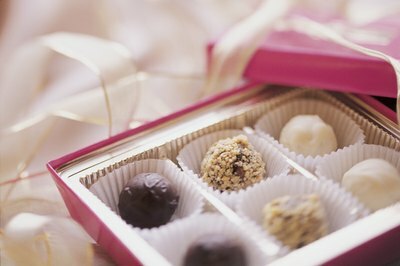 For a chocolate lover, visit a local chocolate shop and get individual chocolates. Give a gift card to a local restaurant or specialty food shop for a "big" gift option. Festive colored items are always available around the holidays. Give a color theme, such as red and green, silver and gold or blue and silver to your Secret Santas. The choices are unlimited. If you choose holiday-related items you can find mugs, candles, holiday pins and buttons, ornaments, notepads, pens, socks and ties. 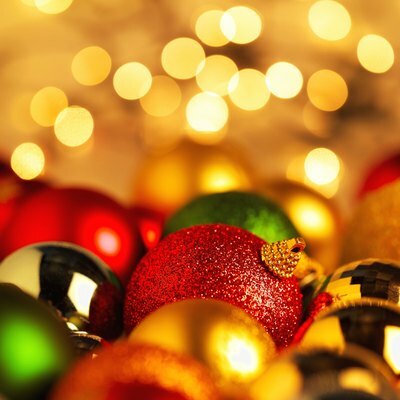 Other holiday colored items that recipients will be grateful for would be wrapping paper or bows that they can then use for their gift wrapping. Monetary guidelines are often established for Secret Santas. Sometimes all participants are asked to fill out an “About Me” form listing some favorites, such as favorite color, sports team, hobbies, magazines or kinds of music. Then a dollar amount for gifts is set and Secret Santas choose appropriate gifts with a spending limit. The limit can be a specific dollar amount or a range of spending. Always take your co-workers into account when setting a dollar limit, as many have their budgets stretched during the holidays. Everyone who decorates for the holidays will appreciate new ornaments or decorations for their home. To keep spending down, Secret Santas can purchase a box of ornaments and give one each day rather than purchasing individual decorations which can be pricey at times. Homemade ornaments can be encouraged which will add a personal touch to the giving. If you have a co-worker who is going through a difficult time either financially or emotionally, the rest of the staff can choose to be a Secret Santa to that individual. Each staff member brings an item to go into a “care package” for that person, such as lotions, candles, candies, gift cards, flavored coffees, teas and cookies. All of the gifts are arranged in a basket and presented from the Secret Santas. About Secret Santa: What is a Secret Santa Gift Exchange?